Just wanted to say a huge thank you for such lovely flowers and arrangements. G & I couldn’t have been happier with them & my bouquet was beautiful. All the colours went so well & the roses were lovely. I appreciate the selection of hairpieces - that was very thoughtful thank you. & all the help and patience you provided too, needless to say, we will be recommending you to all we know. The flowers are lovely. Once again you did us proud! The day went beautifully & the flowers are so lovely. Thank you so much - you have a wonderful gift! absolutely amazing & we've had loads of comments from guests, even the horrible lady in the village loved them! Just a short note to say thank you for the beautiful flowers. Absolutely lived up to our expectations & just as we had hoped for. G. is now on her honeymoon but I wanted to thank you from all of us. The garland is now in my kitchen - a lovely reminder of a lovely day. special touch. We now have the most amazing smell in our flat! Thanks also for being such a professional to work with, It was such a pleasure to meet you & we wish you all the best. Your flowers made such a difference to the room - I know you worked hard on them as they looked stunning! As I am sure you would have heard I had loads of family fighting over them - so classy! Such a wonderful bouquet! Beautiful. Thank you for all your hard work. Your hard work made the venue come alive! Thank you, thank you, thank you. I can't say thank you enough Tania. The flowers were magical - thank you!! for our wedding on Saturday. The colours were perfect & everything complimented & toned really well - the scheme was so delicate, subtle & antique - really extremely beautiful. We couldn't have asked for anything better We really feel you understood what we wanted - the flowers really made our day very special! The flowers were amazing... So, so beautiful & particularly complimented the venue's colours. Everything worked so well - thank you! "Just a quick note to say a big Thank You for the beautiful flowers - they looked absolutely stunning. Everyone loved them! Hopefully we will have the chance to work together soon again!" You were also so lovely & calm throughout! Thank you :). "It was a really lovely wedding, all the flowers were stuning; simply gorgeous. Thank you so much for your amazing workmanship - all the flowers really set off my outfit & the scents were divine. Once again thank you ever so much"
Thank you so, so much for the amazing bouquet & pin holes! They looked stunning & we really loved them :). We really appreciated your time on everything you made & everyone loved them! "I just wanted to write & say thank you for the stunning flowers for D's party. They were exactly what I wanted & they really helped to create a wonderful atmosphere. They received lots of compliments. My house smells wonderful as I have filled it with all your gorgeous arrangements. The house has never looked prettier! Thanks again & I will be in touch next time we have a party ." - a lovely memory of our special day. I just wanted to write personally to say what a delight it was to work with you for the flowers for my wedding from our first (only!) meeting I had absolute confidence in you & you didn't disappoint. The flowers were absolutely glorious, really stunning & many guests commented on this. Everything was perfect - the big displays - the flowers on the chairs, my bouquet & the buttonholes. We transplanted them to our evening venue & they also looked magnificent here - really lifted the place. Finally, the following day we delivered them to my father's residence where the residents were able to enjoy them until they finally faded. Thank you so much for adding so much beauty for our "Big Day"." "The flowers were simply amazing. I can't thank you enough! Everyone kept exclaiming how stunning they were. Sadly I couldn't take them home but I rest assured very happy though because my aunt and uncle took them to grace their tables for a baptism - how cool right? Please advise how I can leave a review on your website or sing your praises in anyway to your clients. That little extra bouquet is in my bedroom. - lovely gesture! I appreciated everything." "Just wanted to say how absolutely gorgeous the flowers you did for us yesterday were, I am looking at them now and they just make me smile. Lovely colour choice and some truly fabulous blooms. I hear you got up very early to get them - rotten for you but gosh, SO worth it from my point of view". and we were very happy with them.... Thanks again for all your wonderful work." 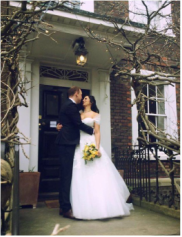 "Thank you so much for your help on our special day. The flowers are beautiful and we got a lot of compliments. With you all the best,"
"The most recent bunch of flowers was absolutely lovely - even to the untrained eye!! Thank you so much". "Just to say that the flower were beautiful for H. She was so pleased. She wrote a lovely card to thank us for the flowers. Whilst I would love to take the praise for this, I obviously wanted to pass it to you!" "Everything was gorgeous, everyone very happy & lots of people have now got your contact details. Thank you so, so much." I can't thank you enough for your efforts & for making the day that much more special for all of us. Everything looked great at the Reception - the table looked perfect In the meantime, they are still looking gorgeous in the house & the whole family are enjoying their beauty so very, very much! With best wishes & many, MANY thanks from us both xxxxx". - the flowers were a very special part of our wonderful day." " Thank you for the lovely flowers for J's party. We saw them when we popped into the pub late on Friday . The flowers were gorgeous, thanks again. Take Care. 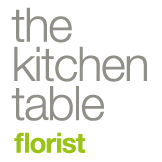 "Today I spent the most lovely morning with my sister being taught magical things by the extremely talented Kitchen Table Florist. The workshop was a present for my fabulous sister's birthday & we had a wonderful time & learnt so much - & we ended up with some beautiful, beautiful arrangements at the end. 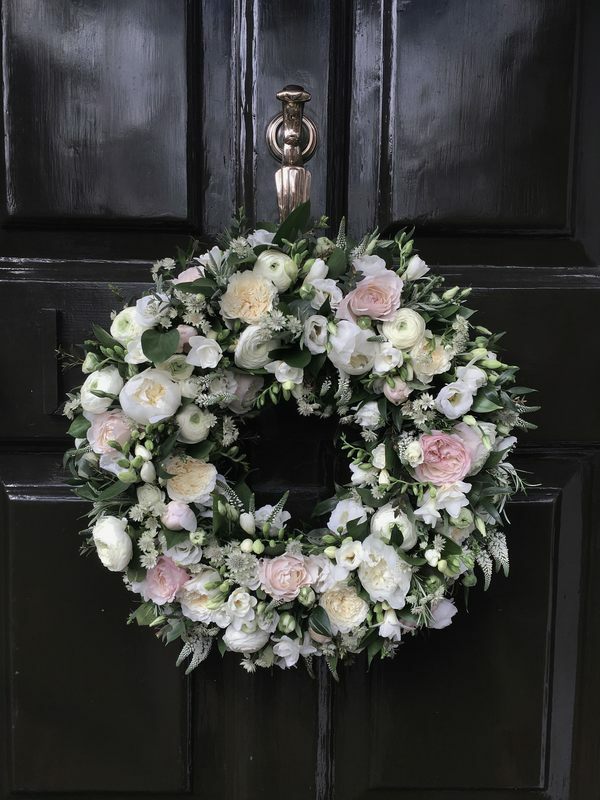 Thank you so much Tania - not only do you create beautiful things, you are a fabulous teacher"
A. had the most wonderful day & all the girls really enjoyed the flower arranging. I thought it was brilliant. You were clear & patient & pleasant & organised, everything you need to run a party / workshop like this. And the ladybirds came out beautifully. "Thank you Tania for the beautiful flower arrangements you created for my mum's birthday lunch. You are a talented lady."